Opaque dark purple in color, our Eddie's Patch Syrah opens with thrilling spicy dark fruits, cracked pepper, and anise. Fragrant lilac and lavender lead to complex wintergreen and sweet tobacco leaf. 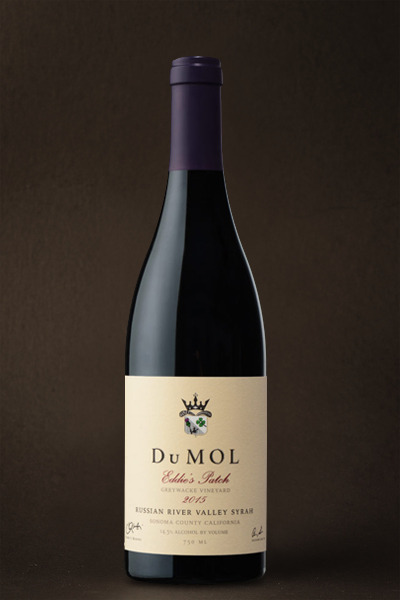 The ripe red and black cherry entry opens to deeper notes of blackberry and cassis with great density and power, giving real thrust to the flavors. Once the deep fruit unfolds, deep bass notes of meat and iron and dark walnut take hold. Darker brooding soil and roasted meat characters evolve with a cocoa nib dusting. Tightly coiled tannins and acidity drive the wine forward to a gentle floral and spearmint finish. 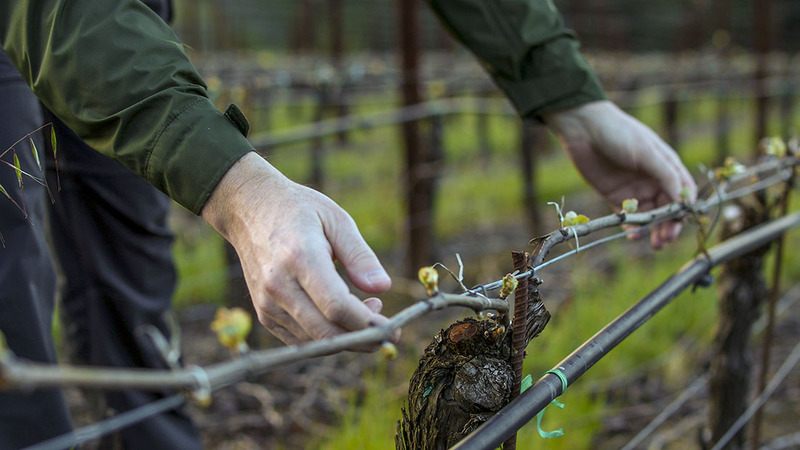 The fruit hails from “vines-on-the-edge” perched on highly-eroded iron-rich soils above the Russian River where it flows through redwood forests towards the coast. A wine of site, not simple fruit, and highly evocative of this special wild mountainous area. The vineyard produced its lowest historical yield in this drought-influence season and one senses the small-berry intensity of the vines. The wine is aromatically thrilling and reflects our preference to harvest Syrah fairly early, preventing the alcohol from interfering with cool-climate Syrah’s subtle, transitory, complex aromas. There’s very little of this wine to go around, so jump on your allocation early. This will age into one of our finest ever Eddie's Patch bottlings. Decant for an hour in its youth and, ideally, drink after 2018 for ten-plus years.